It was an absolute pleasure to join MMR once again for its annual Family Day, held Saturday, April 13, 2019. It was a gorgeous day, filled with excellent crawfish, amazing games, a fantastic petting zoo, and wonderful company! BRECO announced winners for gift cards, a girl’s and boy’s bike, and gift baskets. Thank you to all those as well who donated to BRECO’s Our Lady of the Lake Children’s Hospital fundraiser! It’s such a pleasure to partner with amazing companies such as MMR! 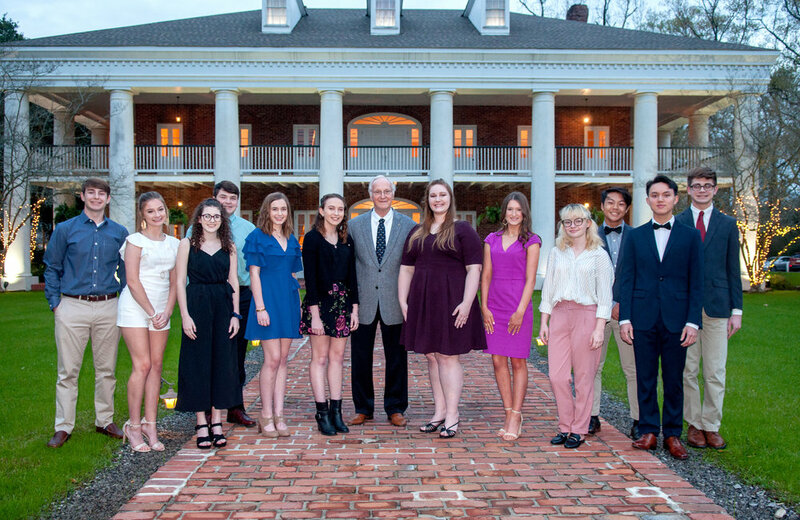 BRECO is proud to once again partner with DEMCO (Dixie Electric Membership Corporation) in supporting four local high school students recently selected to participate in the Washington Youth Tour. “We are extremely appreciative of the continued support of the members and leadership of BRECO, for the sake of our youth who participate in this wonderful program” stated David Latona, Vice President of Marketing and Member Services for DEMCO. Left to right: Malikai D. Hebert (French Settlement High School), Amber Daigle (East Ascension High School), Camilla Nicosia (St. Joseph's Academy), Bryce Felps (Maurepas High School), Rhianna San Soucie (St. Joseph's Academy), Shelby Goodwin (Slaughter Community Charter), Coach Jerry Stovall, Emily Courtney (Central High School), Abigail Wheat (French Settlement High School), Lindsay Miller (Woodlawn High School), Ryan Ly (The Runnels School), Eric Ho (The Runnels High), Ethan Savario (Zachary High School). BRECO FCU was thrilled to participate in the CAAWS Krewe of Mutts Parade on February 17th in downtown Baton Rouge! One hundred percent of the proceeds went to the CAAWS' Spay/Neuter Fund. BRECO's very own Sparky the Dog thrilled hundreds with dancing and photos, and BRECO gave out tons of gifts, balloons, and giveaways! It was a great day for a wonderful "CAAWS"! CAAWS (Capital Area Animal Welfare Society) is the first and only NO-KILL non-profit organization/shelter committed to the well-being of animals in the Baton Rouge community by providing for and facilitating the adoption of homeless animals, teaching the community responsible companion animal ownership, and the humane treatment of animals. All members of CAAWS are eligible to join BRECO FCU! BRECO FCU and other Baton Rouge Area Credit Unions Raise over $53,000 for The Kids! 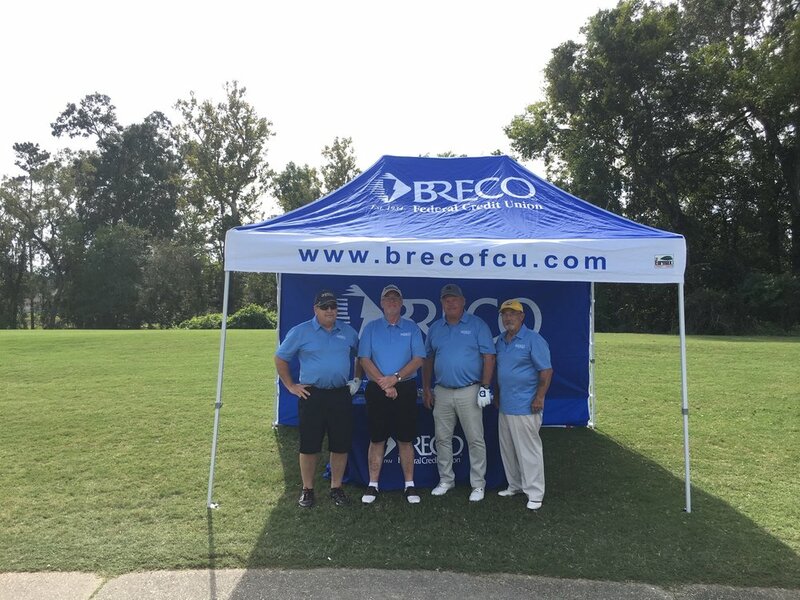 BRECO FCU was proud to be a Gold Sponsor for the 15th annual Baton Rouge Area Credit Union Charity Golf Tournament benefiting the OLOL Children’s Hospital! The hospital, set to open Friday, October 4, 2019, will be the state’s only freestanding hospital dedicated solely to children’s health, and will serve as a central hub to combat health issues facing Louisiana’s children, as well as serve as a home to many pediatric specialists. The OLOL Hospitals will also expand its partnership with St. Jude’s Children’s Research Hospital with the addition of this new freestanding building. The tournament was held at the BREC Park Santa Maria Golf Course, and raised over $53K!